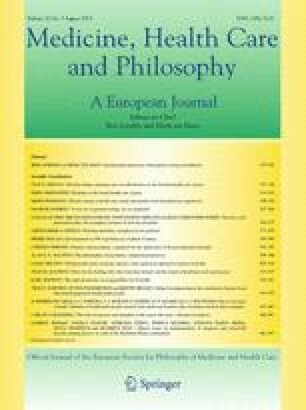 On the basis of extensive research on the relationship between physical activity, exercise and health, as well as strong support from policymakers and practitioners, the “Exercise is Medicine” initiative has become something of a linchpin in the agenda for modern healthcare reform and reflects a broader acceptance that the philosophy of health politics must shift from social engineering to performativity. However, in spite of the avowed commitment to encouraging individuals to take on a more reflexive relation to their health, it remains unclear as to whether an initiative such as this is, unambiguously, a good thing. In this paper, a number of cautionary remarks are made with respect to “Exercise is Medicine” in principle as well as in practice. Firstly, it is argued that equating exercise with medicine is to equate it with a definition of and relation to the body to which it is not entirely akin. And secondly, it is argued that any proposed alignment of the fitness and healthcare industries needs further critical examination, a realigning of interests, and a thorough reconsideration of their suitability of fit. Sassatelli, R. 1999b. Fitness gyms and the local organization of experience. Sociological Research Online 4(3). http://www.socresonline.org.uk/4/3/sassatelli/html.